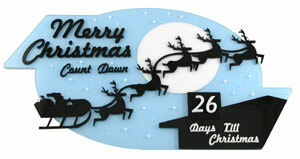 Count down the days until Christmas with this Merry Christmas Countdown Acrylic Plaque. 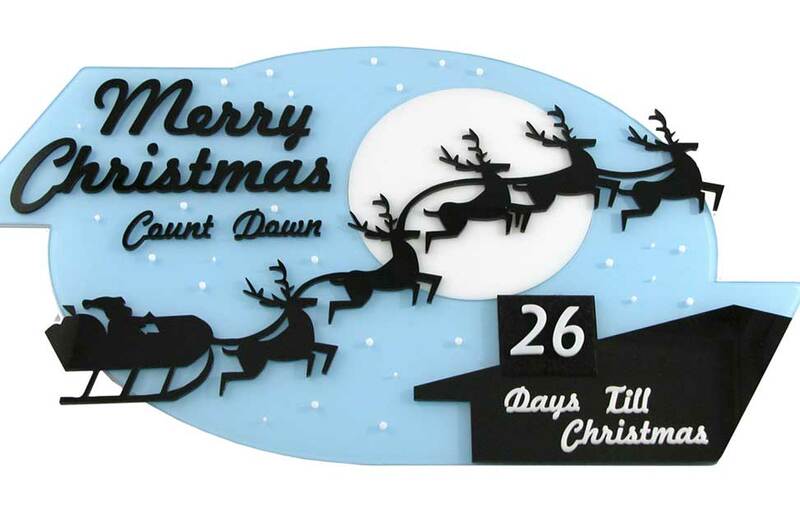 This Countdown Plaque will make a great addition to your Holiday decorations this Christmas. 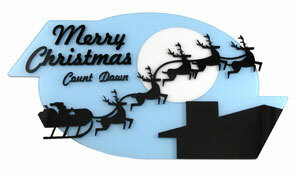 Laser cut a Christmas Countdown decoration for your home. The back of the piece doubles as a spot to hide your countdown tiles. Attach the countdown tile with a piece of velcro. 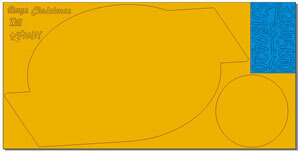 Start by covering an area of 16" x 12" with tape on the back of the black acrylic sheet (the yellow-orange area pictured to the right in Figure A). 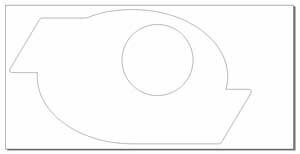 Open the countdown_file1.cdr file and send it to your laser using the appropriate settings for cutting 1/8" acrylic. 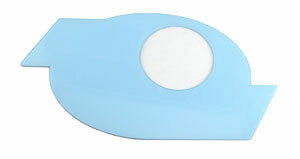 Now, prepare the clear sheet of acrylic for cutting by first painting one side with the light blue spray paint (two coats should work). 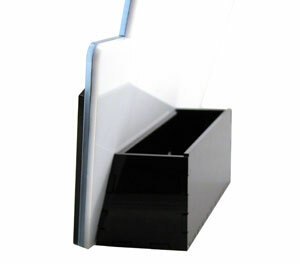 Once the clear acrylic has finished drying, place the acrylic sheet into the system with the painted side down. 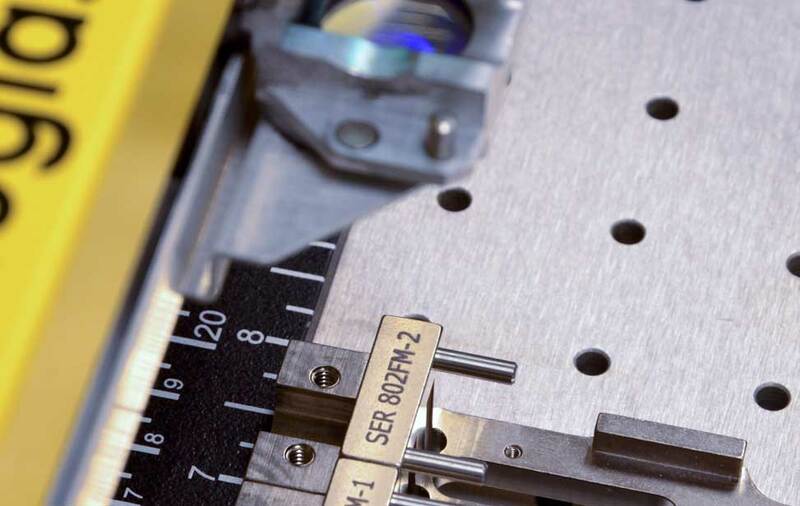 Open the countdown_file2.cdr and send the file to the laser using the appropriate settings. 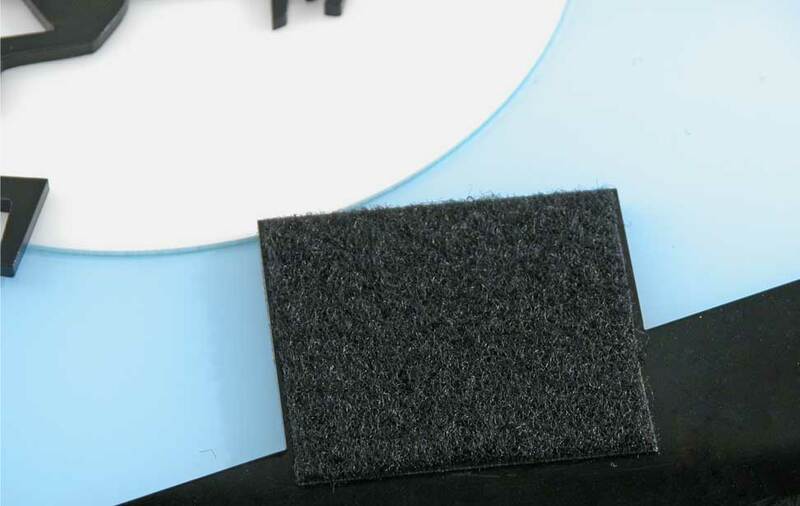 Note: Use the teeth or non-fuzzy side of velcro for the first part of this step. 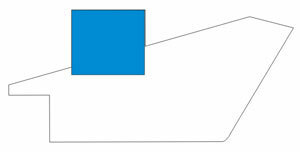 Start by covering a 3.75" x 5.75" area on the back side of the white acrylic with the adhesive velcro (corresponding to the blue rectangle in Figure C). Then cover the rest of area around the velcro with double sided sticky tape (the yellow-orange area pictured in Figure C). 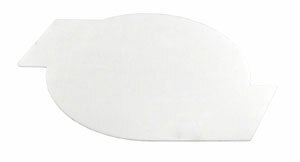 Now place the velcro and tape side face down into your laser system. Open the countdown_file3.cdr and send it to the system using the appropriate settings. As a last step before you begin to assemble the Merry Christmas Countdown Plaque, cut out a 2.25" x 2" piece of velcro (fuzzy side) and stick it onto the chimney area of the black house silhouette (blue area pictured to the right in Figure D). 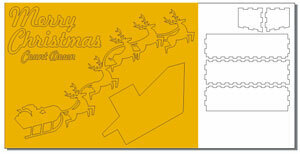 Piece the Merry Christmas Countdown Plaque together using the countdown_guide.cdr file or the steps pictured in the photos. 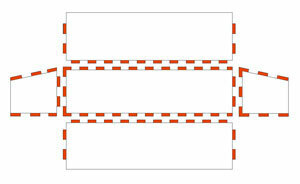 Glue the Box Stand together using the diagram. Step A. Lightly apply glue to the teeth (pictured in red below) of two sides then put the sides together and hold for about 15 to 20 seconds. Step B. After the glue dries heavily apply more glue to the inside seam of each corner. 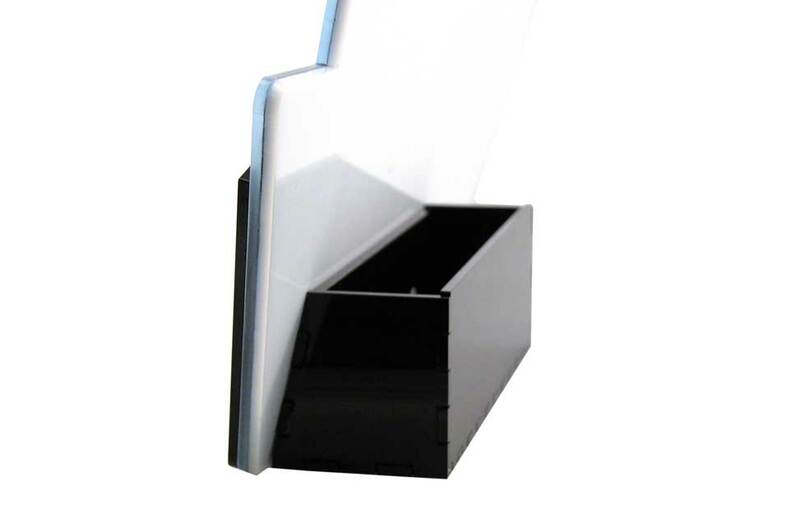 Next place double sided sticky tape on the slanted side of the complete Box Stand. 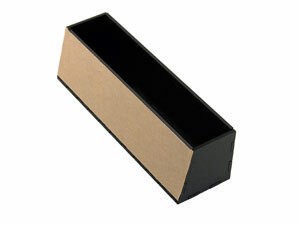 Then stick the box onto the bottom back side of the Merry Christmas Countdown Plaque. 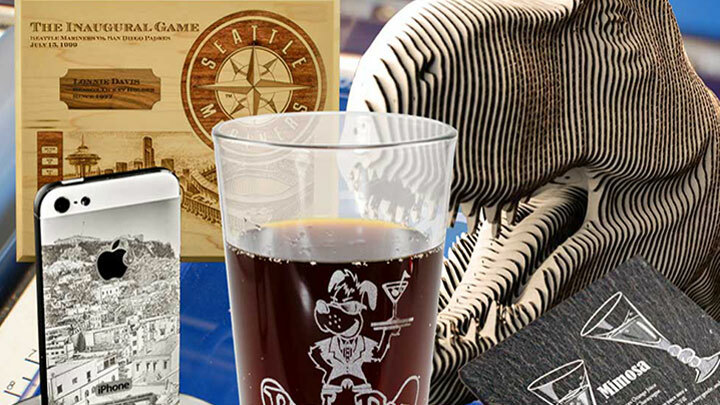 Place the number of days left before Christmas on the front of the plaque, and put the rest of the numbers in the handy storage box attached to the back. Now you're Done! 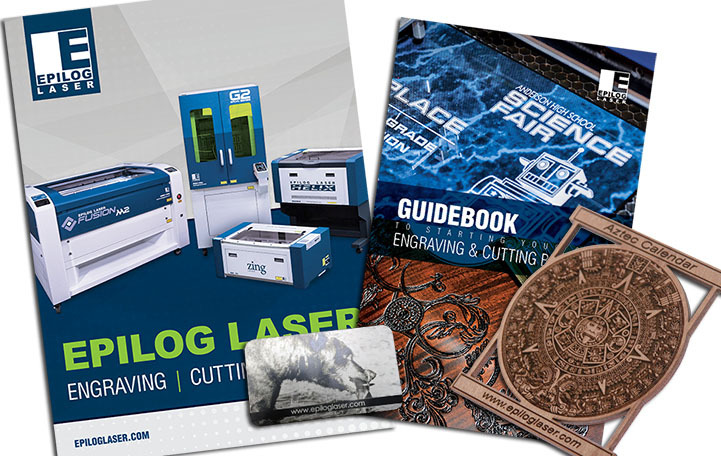 Merry Christmas and have a Happy New Year from everyone here at Epilog Laser.